Magnificent, dark red-purple leaves, turning scarlet in autumn and fluffy, smoke-like plumes of purplish-pink flowers in July and August. 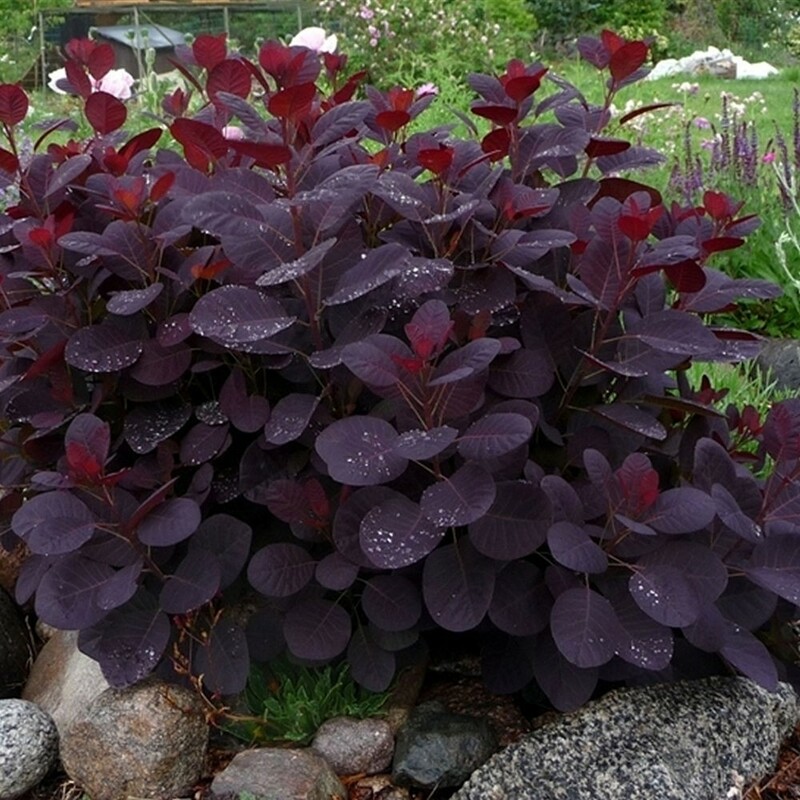 This purple-leaved smoke bush makes an eye-catching specimen plant for a sunny shrub or mixed border. The foliage, which appears almost translucent when backlit by the sun. Supplied as established bushy plants in approx 2-3 Litre containers.